If you've followed Scarlett Dawn and the Forever Evermore Series, Chosen Thief is book 4 and deviates from books one through three (King Hall, King Cave, and King Tomb). So if you've read books one through three, this is a jump forward in time, and I admit I felt a little lost starting since I didn't even read the blurb before diving in because I love the series so much! I was expecting Lily and well, got very little of her. 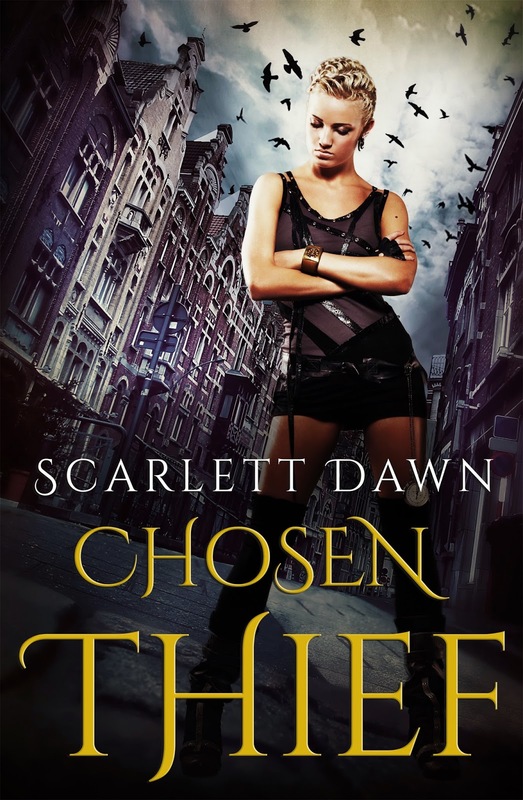 If you haven't read this series by Scarlett Dawn, Chosen Thief is a place you can start. Now, I do recommend going back and reading the first three books, BUT it is not absolutely necessary. You might miss a few undercurrent jokes or something, but the primary characters in this book kind of start their own saga. Once I got past the point of wanting my old friends back, I dived into this new saga of the Forever Evermore Series and got sucked in just as quickly as I had before. Caro is a fantastic character. Very strong willed, with a lot of street smarts and an attitude that just makes you want to slap her and laugh at the same time. We still have a lot to learn with this new group of Kings and Queens, but things are bound to get even more exciting as time goes on. This series is outside my normal reading genres but I am so glad I took a chance on it, and got hooked on that first book. Scarlett Dawn writes in depth characters, with snappy dialogue and an intense amount of action. She packs her books full and by the time your done you are wondering where the time went. You will get lost in her world and probably not want to come back to reality. A highly recommended read and series.